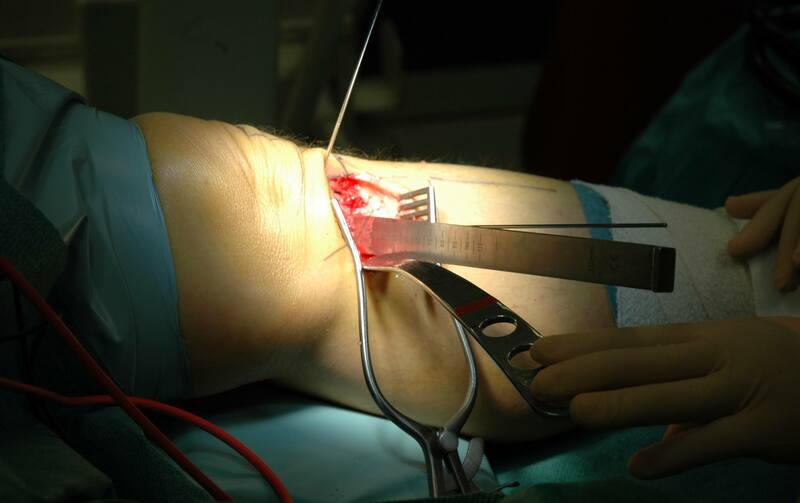 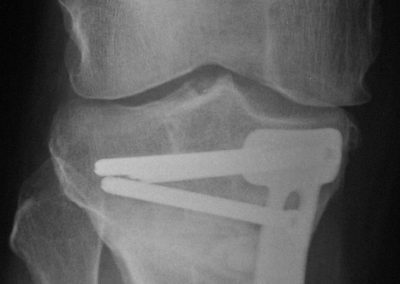 In patients with arthritis or knee pain due to damage of the lining by sports and other activities the joint can deform and there can be excessive pressure on either the inner or outer part of the joint. 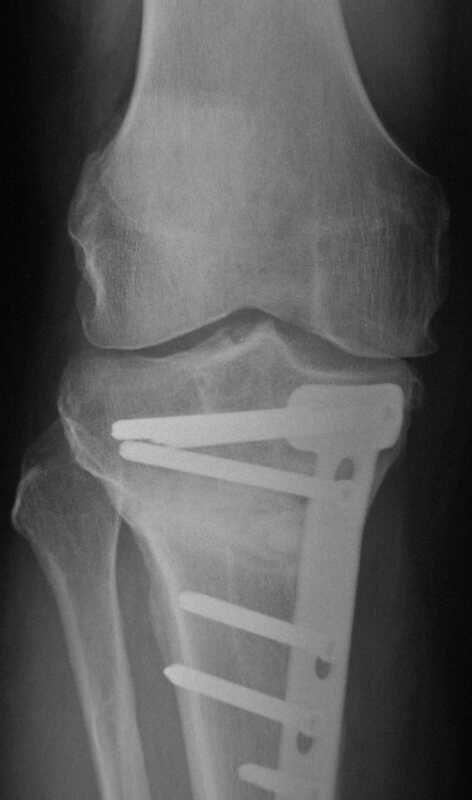 This can cause pain and reduce function considerably. 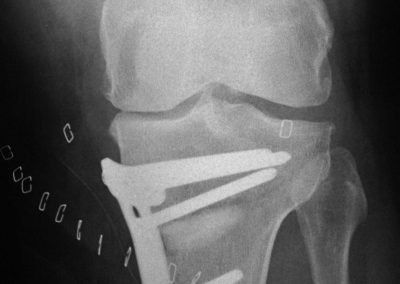 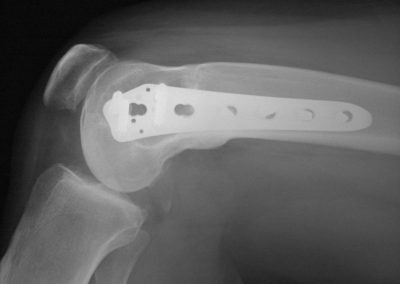 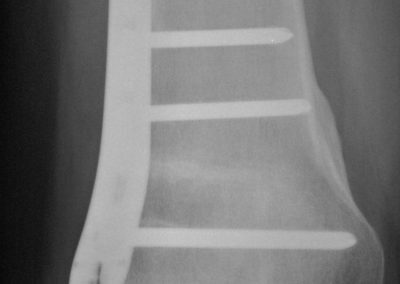 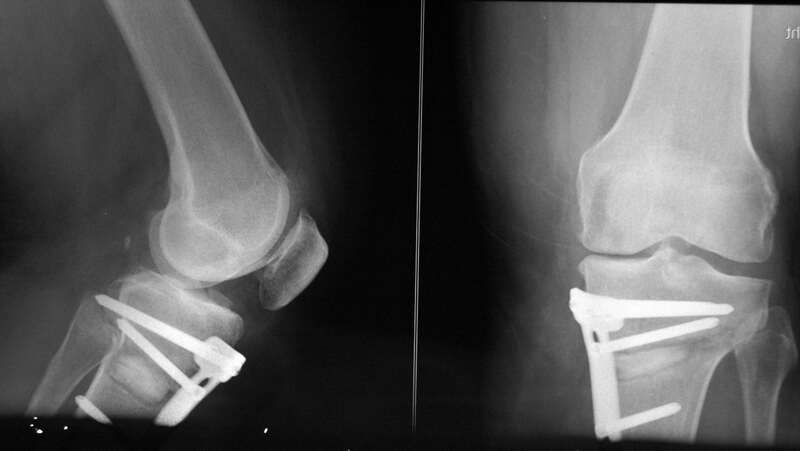 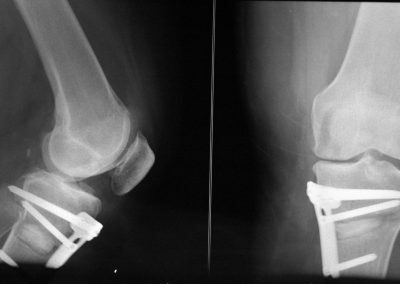 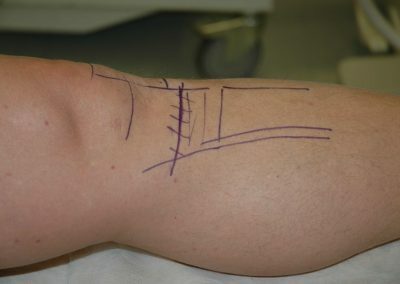 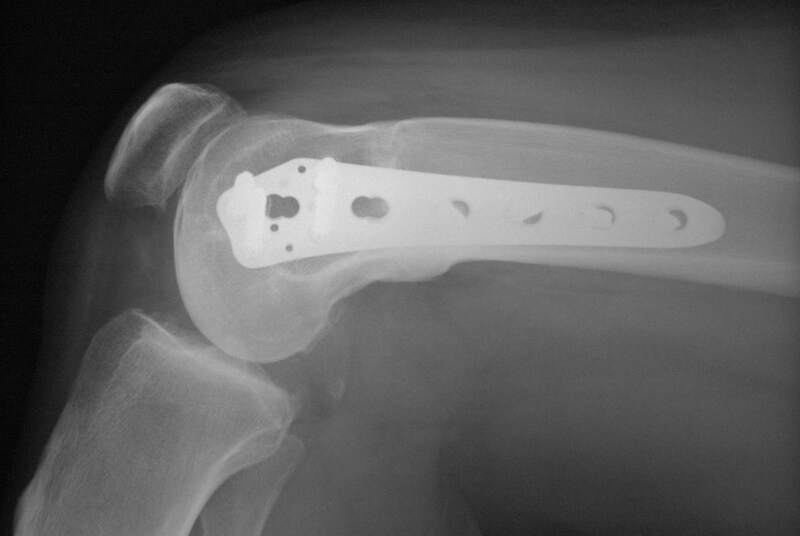 If the bending of the knee is inwards (Varus) or outwards (Valgus) (determined by a long weight bearing X-ray of the whole leg) and the X-ray confirms the over loading, it can be corrected by an osteotomy (partial cutting of the bone) and bending it to correct the deformity and this is held in the corrected position by plate and screws (Tomofix). 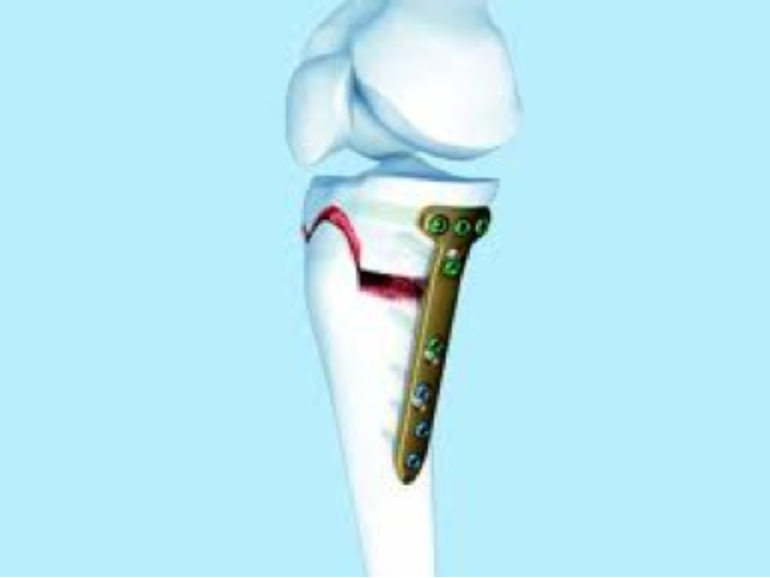 Once the bone has rejoined in the new position it can work well and relieve pain (retaining your natural joint) for considerable periods with good function and minimal pain. 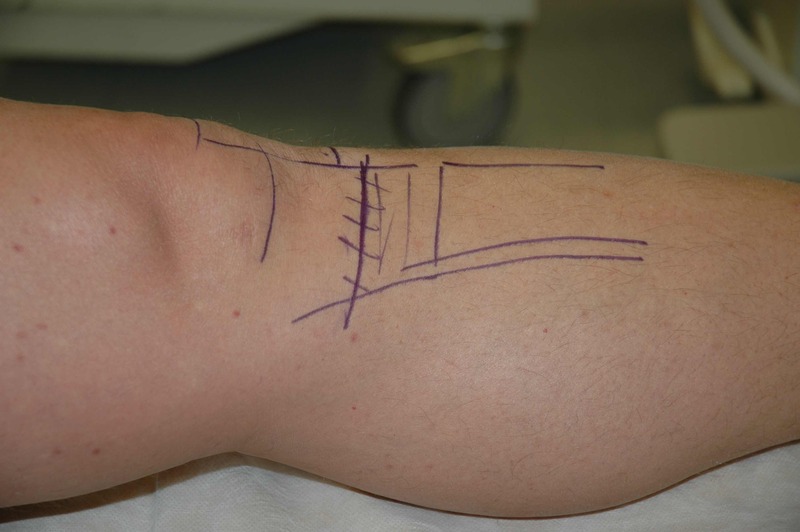 This is an option for even arthritic knees, within limits. 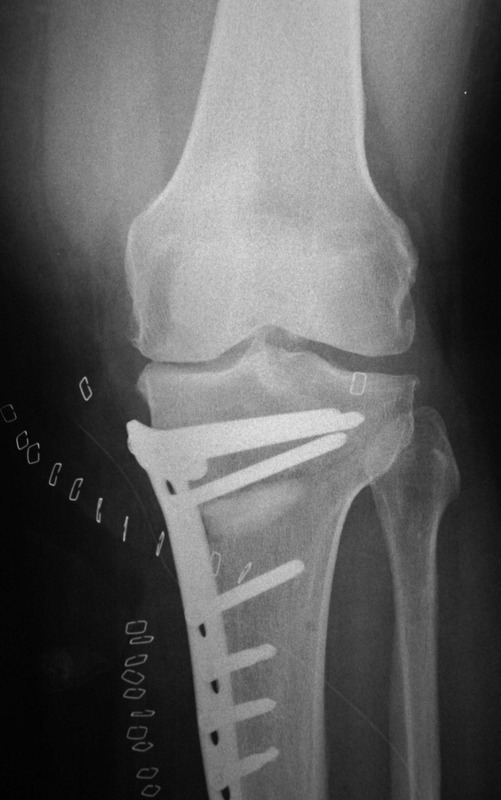 As with other procedures it is best discussed with Mr Rao.